Tom Brady is one of the greatest quarterbacks to ever play the game of football and with the results of Super Bowl LI, a lot more people are calling him the GOAT or greatest of all time. Though I believe he is in the pantheon of great quarterbacks, I argue that he may not even be the greatest in his era. A lot of his praise comes from his team's success. Brady is the starting quarterback of the team that has won the most championships in the last 20 seasons with 5 and he has also put up some great numbers while doing so. That is the basis for so many calling him the greatest of all time. There can be a reasonable debate that, in spite of his great postseason performance, he doesn't have the most impressive postseason resume among quarterbacks. 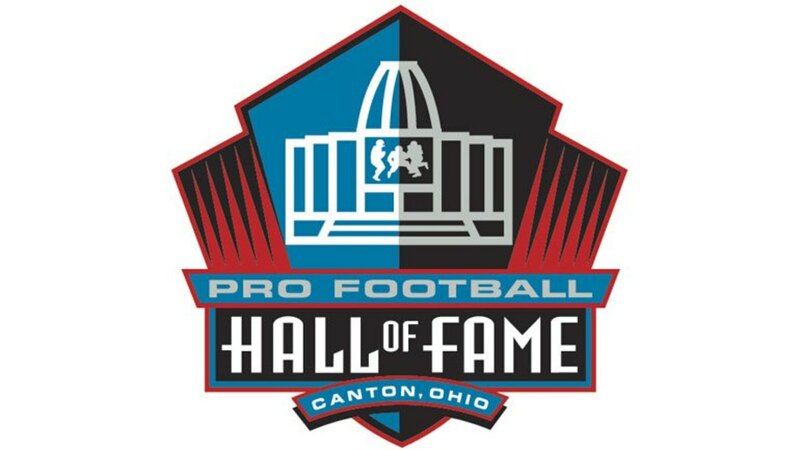 Bart Starr was 9-1 in the playoffs with 5 championships and a 5 to 1 touchdown to interception ratio, Joe Montana went undefeated at 4-0 and had no interceptions at the Super Bowl. Terry Bradshaw is also 4-0 in Super Bowls. Championships are not the greatest argument for individual performance in team sports. Unlike individual sports like tennis or golf, championship rings aren't an accurate way to judge an individuals greatness in team sports, particularly in football. In basketball for instance, a player can have a bigger impact because there are only 10 players on the court and and they can be on the court for over 40 minutes in a 48 minute game playing both sides of the ball. 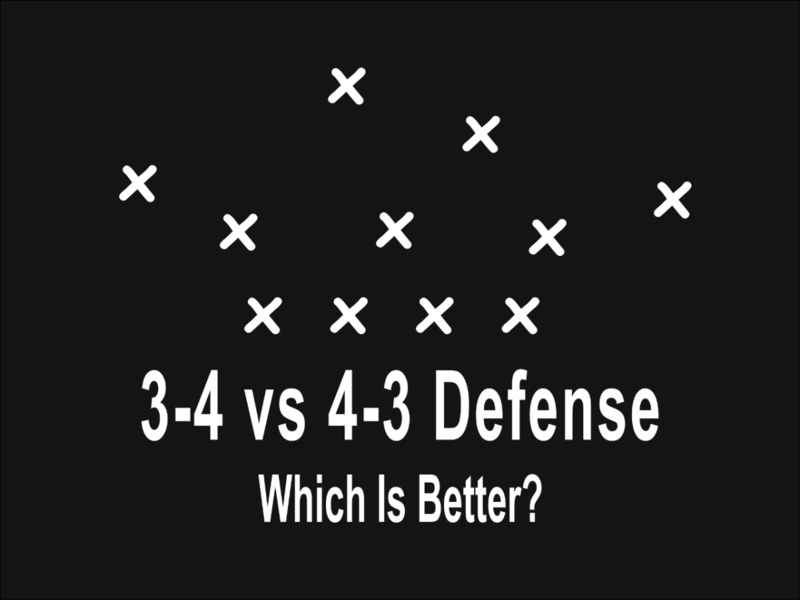 In football, players usually play either offense or defense and a quarterback can maybe be on the field for 30-40 minutes in a 60 minute game. You can't judge a quarterback by Super Bowl wins because there is so much he can't control that plays a part into winning. A solid defense is necessary for a Super Bowl win. The comeback against the Falcons was impressive and unprecedented. Recovering from a 25 point deficit in the 3rd quarter is quite a feat but had the Patriots defense not shut the Falcons down then the comeback in the final 23 minutes wouldn't have happened. An average quarterback can win a Super Bowl if their defense is incredible; see Trent Dilfer. Though it is a more extreme case, no one would argue that Dilfer is better than Dan Marino because he has more rings. In the 15 seasons that Tom Brady has been a starting quarterback, the Patriots have had 13 top 10 defenses. 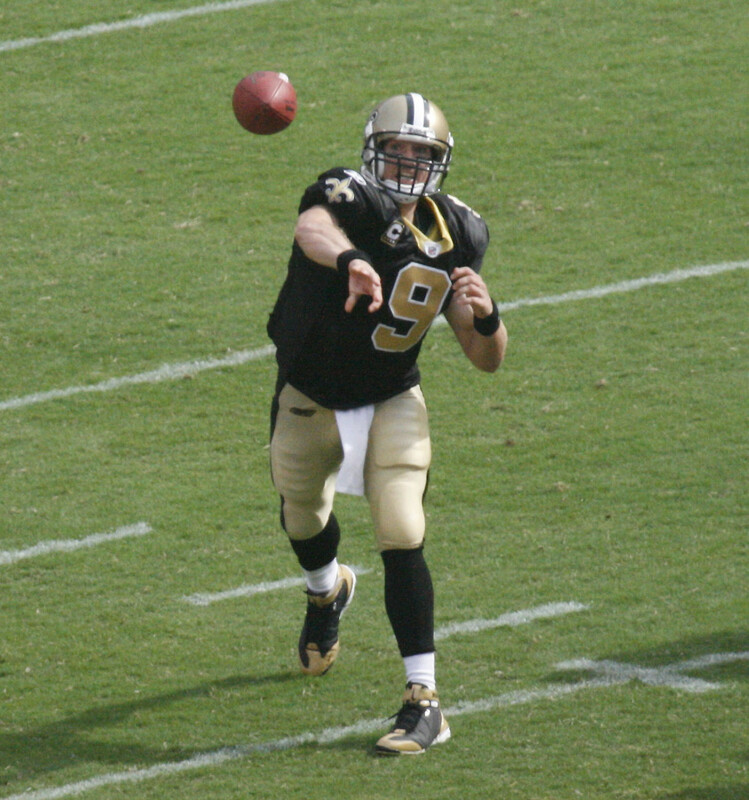 Some of his contemporaries have had far less help from the other side of the ball; Peyton Manning had 7 in 17 seasons, Drew Brees had 2 in 15 seasons, and Aaron Rodgers had 2 in 9 seasons. In those 15 seasons the Patriots ranked an average of 7.6 in defense twice. They ranked 15th in 2002 where they missed the playoffs and 17th in 2006 where they lost in the divisional round. As I said earlier, you can debate and come up with strong cases to why some of his contemporaries may be greater. For this argument, I'll use Peyton Manning, Drew Brees, and Aaron Rodgers. 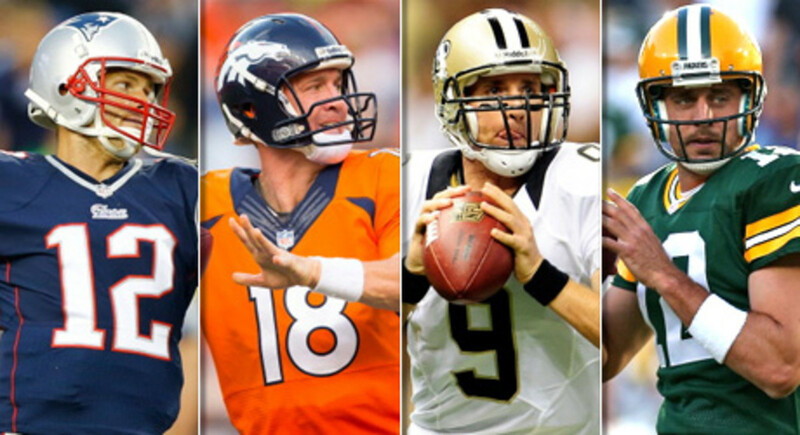 These 3 quarterbacks have cases that pose strong competition to Brady being claimed the GOAT. Brady ranks behind all three in touchdowns and completion percentage per season and is also last in yards in seasons where they start at least 15 games. For me, one of strongest arguments is the Patriots performance when he doesn't play over the course of his 17 year career, not counting his rookie year when he wasn't the starter. Tom Brady missed a total of 20 games. In those games, the Patriots are 14-6, this includes games where Brady doesn't play more than the first quarter. The Packers are 3-6-1 in games without Aaron Rodgers. The Colts/Broncos are 5-16 in games without Peyton Manning. The Charger/Saints are 3-5 without Brees. Matt Cassel lead the Patriots to an 11-5 record in 2008 when Brady missed the entire season due to a knee injury. In 2016, while Brady was serving a four game suspension, the Patriots managed to go 3-1 with Jimmy Garapolo and Jacoby Brissett playing quarterback. The Colts went 2-14 when Peyton missed the entire 2011 season. Of that group, the Patriots have by far the highest win percentage. Of the 4 quarterbacks, I would say Manning has been the most valuable since he had so much responsibility as a play caller and his teams suffered the largest drop off in his absence. I wouldn't rank him ahead of Brady though because he has performed so poorly against Brady in their head to head matchups. Of all his contemporaries, the guy that has better individual numbers across the board both seasonal and situational is Aaron Rodgers. The following is the performance numbers for Brady and Rodgers in clutch situations. Brady Completion %: 57.7 TDs Per INT: 2.4. Rodgers Completion %: 58.9 TDs Per INT: 2.0. Brady Completion %: 61.6 QB Rating, 94.3 TDs Per INT: 2.68. Rodgers Completion %: 63.41 QB Rating, 102.6 TDs Per INT: 3.08. 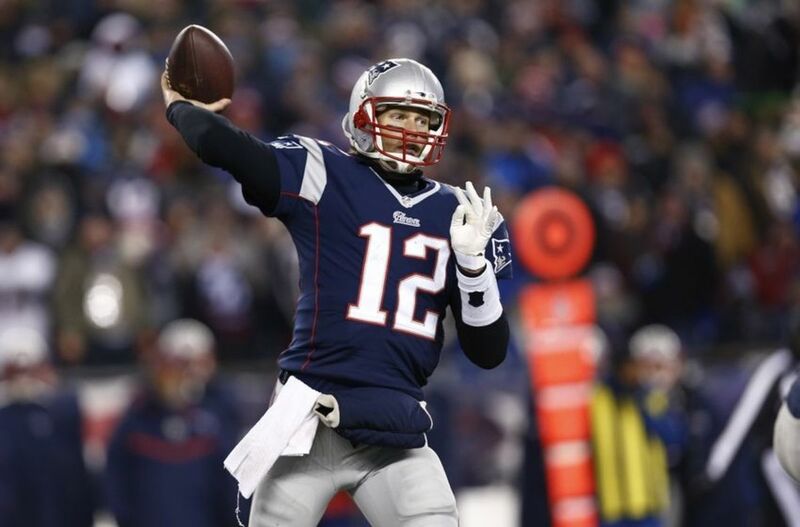 Brady Completion %: 62.1 QB Rating, 90.6 TDs Per INT: 2.07. Rodgers Completion %: 63.7 QB Rating, 98.5 TDs Per INT: 2.7. Brady Completion %: 59.4 QB Rating, 101.3, TDs Per INT: 16.4. Rodgers Completion %: 59.4 QB Rating, 101.2 TDs Per INT: 22.4. The only stat Brady has a notable lead in is touchdowns to interceptions with 4 minutes left, the other stats favor Rodgers aside from QB rating in the red zone but that is basically a tie being 101.3 and 101.2 respectively. Not to mention that Aaron has run for more TDs and first downs though he's played 6 fewer seasons. Rodgers has also rushed for more than 2,500 yards and scored 25 rushing touchdowns in his career. Brady has 940 yards and 17 touchdowns. He has had more notable clutch moments because he has played in more big games due to playing on a better all around team but his performance in those situations are inferior to Rodgers on average. 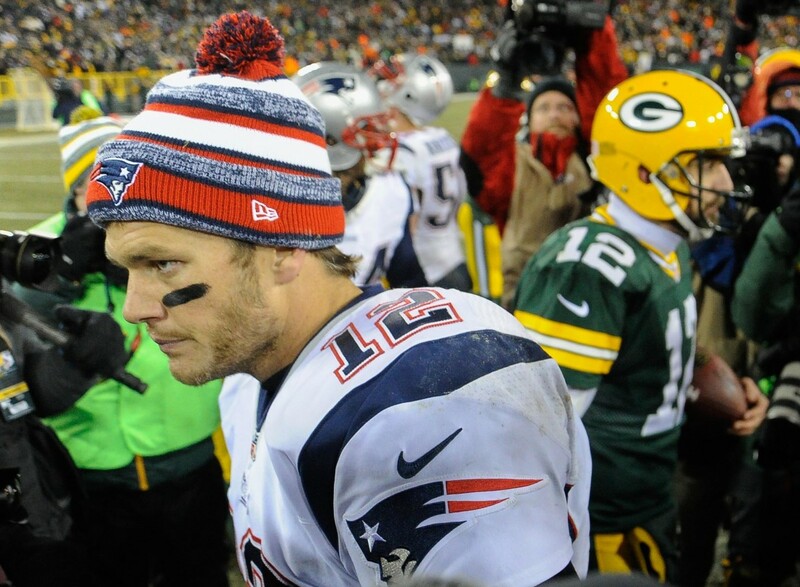 One of the arguments for Brady over Rodgers is their performance in the playoffs. Brady has had more opportunities in the postseason having started 34 playoff games as opposed to Rodgers' 16 but that has more to do with his supporting cast as opposed to his individual performance. As I stated earlier, the Packers have had statistically worst defense than the Patriots. In the Packers' 7 playoff losses in the Rodgers era, they have given up an average of 35 points a game and scored an average of 25 points a game. On the other hand, the Patriots during the Brady era have scored an average of 17 points a game in playoff losses while giving up 25. That is a touchdown more scored for Rodgers and 10 points more given up by the Packers defense. In a playoff loss, the Packers have not scored less than 20 points in any of those 7 games. Brady and the Patriots have scored less than 20 points in 7 of their 9 losses. The lack of scoring can't be contributed to their opponents defense ranking either; the Patriots' opponents in playoff losses have had an average defensive ranking of 13 while the Packers' opponents ranked 11th. Not only have the scoring numbers favored Rodgers in the playoffs but his individual numbers are better as well. In the playoffs, Rodgers averages more yards per game, more touchdowns per game, a higher completion percentage, as well as a higher touchdown-to-interception ratio. 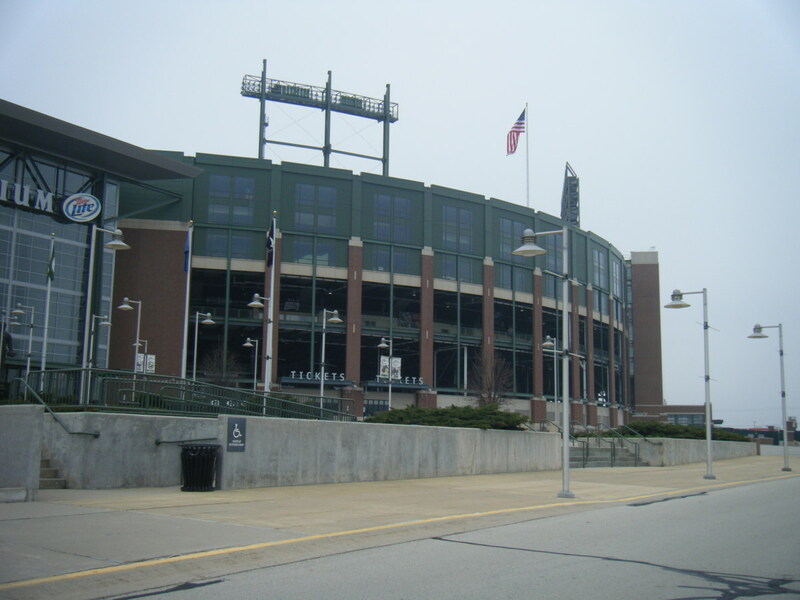 With nearly 70% of 16 playoff games coming on the road, the Packers have faced a hostile environment more often than Brady who has played 80% of his 34 games at home. At the end of the day, the GOAT arguments can be a futile and there may be no accurate way to judge who is better in team sports. Fans are usually going to go with players that they have an affinity for or base their arguments on something more tangible like Super Bowl wins. But as I said earlier about sports like football, one player has so little of an impact that the argument of Super Bowl rings is a failing and somewhat lazy one. 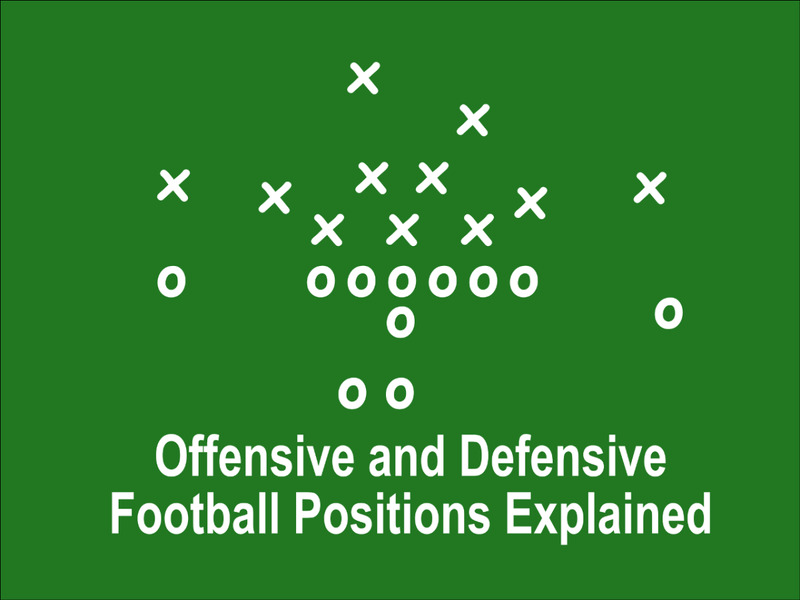 Also, people don't use the argument for positions other than quarterback. Charles Haley has 5 Superbowl rings, more than Lawrence Taylor, Reggie White, Derrick Thomas, Alan Page, and Deacon Jones combined. Though Charles Haley is a hall of famer, most would rank those guys ahead of him in a lis of all-time greats. The individual numbers favor Rodgers across the board whether it's regular season, postseason, early in the game, or in clutch situations. The only advantages Brady has come from having played 6 more seasons as his career passing totals are higher. Brady has even given Rodgers praise saying, "I think he does things that no one in the league has ever done or can do, just because of his physical ability. Some of the plays he makes are just...they’re just phenomenal. Not just the throws but the scrambles.” Anyone that says Tom Brady is the greatest of all time is can say so as we are all entitled to our own opinions. I might agree with you; he has performed great on an daily basis and in big moments. As with all arguments about the greatest of all time, there is really no certainty. I just wanted to present some arguments that could be made against him. Someone literally said in a comment that it is clear Belichick's system is what has made brady great because they've had a revolving door at every other position. Dave W, you are special "You think it's a coincidence that they have a revolving door at every position other then QB... " This proves the exact opposite. Brady is the most valuable piece to the puzzle. This article cherry picks stats and does not look at the totality of his career. Brady is easily the goat, and there really isn't any argument that can be made. Wouldnt that mean no QB was the greatest because none played defense? And both on Vinatieri's kicks were made possible by a Brady drive under 2 minutes. It seems you forgot that. He drove them into FG range to win the game. Isn’t it funny how Tom brady is considered the best because he has 5 rings as a starting QB for the New England Patriots I did not know they were known as the atom Bradys. Next time Tom goes on defense to make a stop in the clutch I’ll consider him the greatest. If adam vinatieri missed those FG what are we saying about Brady’s legacy then? This appears well written and has good stats but you pick and choose which qb to match him against to make him appear less great. The few places hes behind one he is likely above another or very closeby. His postseason numbers as a whole, defense or not, are fantastic. Id love for you to read my articles on brady and see what you think. I'll add to this. 1. Brady plays in the worst division of football. The AFC East with the Bills, Jets, and Dolphins has been absolutely abysmal during Brady's reign. They go straight to the bye week every year. Less wear and tear, etc. (Just like LeBron). 1a. He's lost 3 Super Bowls to NFC East teams. I'd like to see how often he'd get to that game if he lived in that division. 2. Look up the years when Bob Sanders was healthy for the playoffs on Indy. Peyton usually won those games. He was the key to their defense. He got hurt a lot by the end of a long season as a little guy, and then Peyton rarely saw the field. They Pats usually had much better defenses so the Pats had a better chance at winning. 3. You can only call a guy the GOOG. Greatest of our Generation. Rule changes have made it much easier for QBs than ever. I guarantee he would not be playing this long against some of the wild dog defenses of the past. LT or someone else would have broken him into pieces at some point. 4. You mentioned WAR (Wins above Replacement). Peyton's team lost the first 14 games when he was out. Picked up a couple of garbage wins at the end of the seaon. He was willing them into the playoffs. Without him that whole team was garbage. 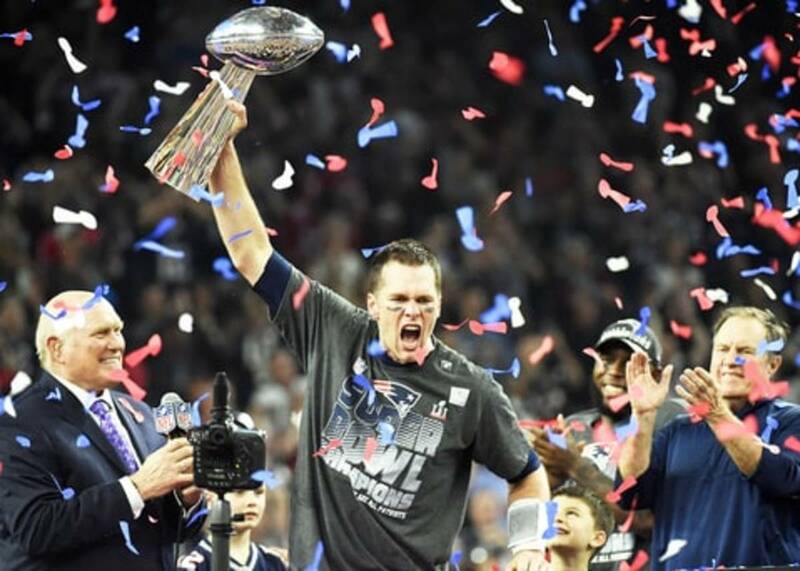 The fact that he won a super bowl there IS a testiment to HIS, specifically him, greatness. Without him they were the worst team in football and got the 1st pick in the draft. Brady's team barely missed him when he was out. 11-5, 3-1. He is a system quarterback with the best coach of our generation. 5. And finally. Put him on Cleveland next year. Let's see how many games he wins. I saw what Peyton could do with a terrible team around him. Eli has won 2 SBs but looks like crap without a line. Brady is the benefactor being a good player in a perfect situation. He plays for arguably the Greatest coaches of all time, who happens to have a system the virtually any Quarterback could flourish in. That has been proven by the people who have replaced him when he was hurt, then to go on to other teams and become far less than what they were at New England. It quite clear that Tom Brady is the best ever. Five. It speaks volumes that he gets to the super bowl nearly every other year. Its a team game but the Patriots have only had a top 5 defense once in the years that they went to a Superbowl. Every other argument is wrong. Or it based heavily on regular season stats (Peyton) or another qb with a better sb win percentage... I'm sorry but to expect a qb to win 8 Superbowl s without a loss is a tall order. C'mon mann. Let Rodgers even get to six more before you start comparing the two. OMG !! You guys beyond ridiculous. Stupidity at its best ! Please, Brady is not even in the top 15 of qb's all time. 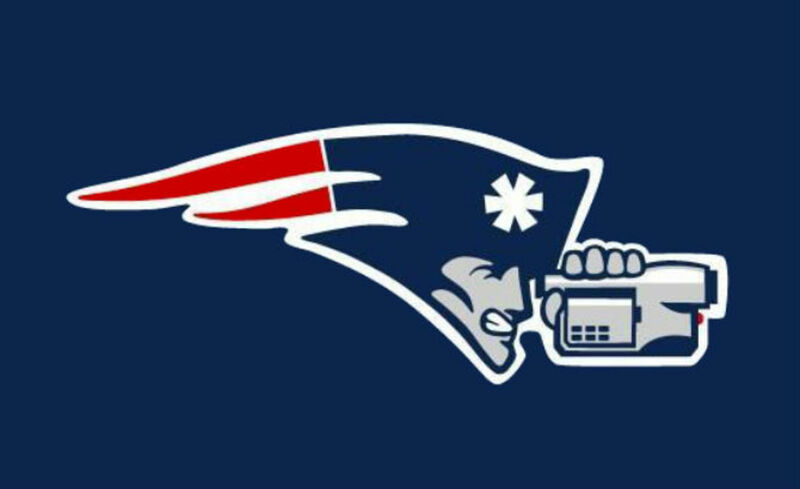 Let alone the fact that the Pats have been caught cheating multiple times. We can dismiss the first 3 Superbowls wins because of their cheating. Let alone the fact that the NFL staged their win in 2002. I don’t see how one can argue with what you have written, excellent work. You did not even mention the cheating, the tuck rule, The Seahawks not running the ball and the Falcons not kicking the field goal. The Patriots defense always tightens up in the second half thus the opposing defense is on the field longer. That is down to excellent coaching adjustments, not any QB play. The defense gets tired and then Brady takes advantage in the 4th quarter. You saw it against Atlanta and even Jacksonville. Rodgers is the greatest QB I have ever seen. Please explain to me how the number of Superbowls you have won even begins to determine your greatness as a quarterback you are one of twelve on the field, without the other eleven you wouldn’t be squat “Duh”. In my opinion that is one of the dumbest statements or analogies I have ever heard is he good absolutely. Sorry to tell you this Boys and Girls he’s a system Quarterback, look at all of the backups that have played for the Patriots almost everyone of them while there played outstanding Football almost all of them who were traded after signing huge contracts became huge flops, Tom Brady might be the greatest system Quarterback to ever play the game. At last some common sense. No one argues a soccer player's greatness based on team wins. Another point not made in an otherwise excellent piece - Brady would only have 3 rings but for bonehead calls by coaches. This was exactly what I was thinking super bowl is just one game and, the patriots are one of the best teams of all time. Their amazing defense has carried them. I personally am a seahawk fan and super bowl 49 was a game I dreaded but, it couldn't have been done without the patriots goal line stance by the defense. defense wins championships as they say. Peyton Manning is the greatest QB of all time and Jerry Rice is the GOAT. Although I disagree with your argument, the hub is incredibly detailed and you made a very well-reasoned argument. Great job. To me, Brady is the GOAT. 24 postseason wins. 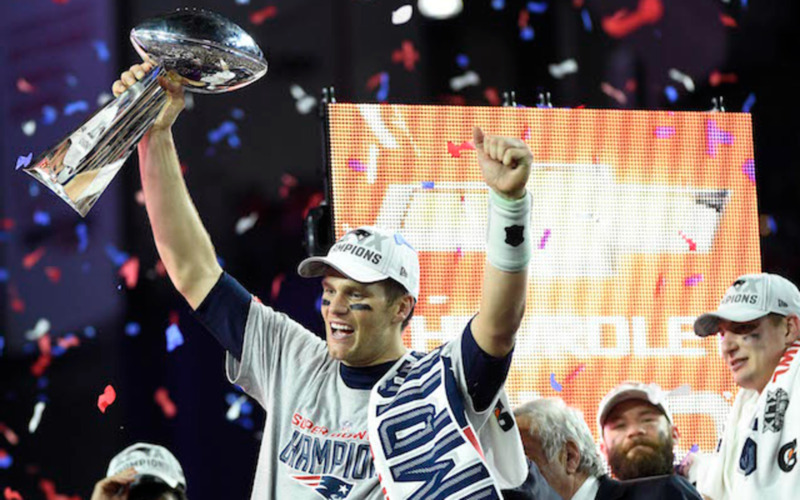 Super Bowls do matter more than probably anything (that's an argument for another day). I put him ahead of Joe Montana because Brady did it with different teams almost every time (except back to back). Montana had the same nucleus for quite a while as it was pre free agency (82 to 85 there were some notable changes). Love this debate. Thanks. Sharing everywhere.